Rejoice, ye loyal disciples of White Jesus! 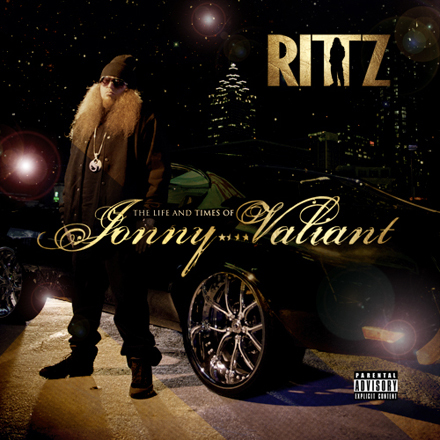 With Rittz’s Strange debut The Life And Times Of Jonny Valiant having cemented his place on everyone’s list of emcees to watch for in 2014, the Gwinnett County Stranger is already hard at work on making sure he stays in the cross hairs of hip hop heads everywhere with a sophomore effort. Recently Rittz hopped on Twitter to apologize to fans for not being as active on his page as normal, but once he clarified that the reason behind his recent semi-silence on twitter was due to his beginning work on a new album, we’re pretty sure everyone forgave him. We sure did. While details on the project are all but non-existent at the moment, we love a good speculation session, so let the games begin. Who might we see featured on the follow up to Jonny Valiant? What will the album be called? Can we expect the same country-fried double time goodness we’ve come to know and love from Rittz? Time holds the answers to all those questions and more, but for now, hit up the comments section and let’s get some wishlists going! Who do you hope to see featured on the album? Who would you like to see producing tracks for the upcoming project? Was Jonny Valiant in your “best of” list for last year? Hit the comments section below and let us know!